Montgomery County, Texas – April 13, 2019: A TORNADO WATCH has been issued for Montgomery County until 7:00 PM, Saturday evening. 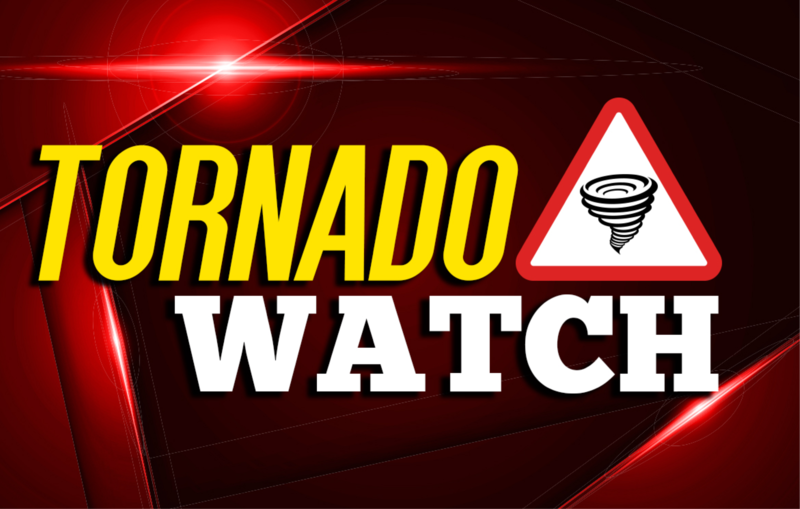 Tornado watch 53 is in effect until 7:00 PM for the following locations: Angelina, Brazos, Cherokee, Grimes, Hardin, Houston, Jasper, Liberty, Madison, Montgomery, Nacogdoches, Newton, Panola, Polk, Rusk, Sabine, San Augustine, San Jacinto, Shelby, Trinity, Tyler and Walker counties. A strong line of thunderstorms continues to track east, northeast towards the Houston metroplex. Stay weather aware. Updates as necessary. This is issued by the National Weather Service when conditions are favorable for the development of tornadoes in and close to the watch area. Their size can vary depending on the weather situation. They are usually issued for a duration of 4 to 8 hours. They normally are issued well in advance of the actual occurrence of severe weather. During the watch, people should review tornado safety rules and be prepared to move to a place of safety if threatening weather approaches.